You Are Here: Home > What are the 2018 Jaguar F-PACE Interior? What are the 2018 Jaguar F-PACE Interior? Englewood drivers love sophisticated vehicles that provide an interior variety and intelligent features. The 2018 Jaguar F-PACE interior delivers an incredible amount of interior conveniences that you’ll love to explore, such as the quality materials and other exponential innovations. Discover what it’s like to be inside the Jaguar F-PACE interior today by exploring more about it below. Every inch of the new Jaguar F-PACE delivers an incredible amount of craftsmanship that all drivers will certainly love to explore and take in as they hit the Saddle River and Mahwah streets. The new Jaguar F-PACE brings innovation inside the cabin as well by delivering a vast amount of touches and features that will make you happy to have this model for your Bergen drive. Aside from comfort and convenience, the 2017 Jaguar F-PACE delivers a vast amount of tech inside the cabin. 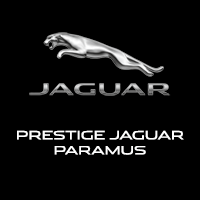 In order to learn more about the 2018 Jaguar F-PACE interior, be sure to visit Jaguar Paramus at 405 NJ-17 in Paramus, NJ to see our inventory, or contact us at (844) 336-0190 to explore our current vehicle specials and offers.